I have been following a thread on the Z car forum where all the guys have been driving the same 240z around Bathurst. I was thinking we should be doing something similar on here, so I am thinking the 911R around Bathurst. Bathurst, particularly over the top is a track to sort out the men from the boys so lets see some times. I've got PC2 (and PC1) but never play 2 because my wheel is not compatible. The kids seem to manage alright on the controller but I am hopeless on it without the wheel! Need to get a new wheel setup. Anyone want to buy a Fanatec GT3RS wheel and pedals set? It's great, but not compatible with some of the latest games. Aaaah right....sim racing, gotcha! ? Was going to say finish the 911 first Jeff! ? I'm driving PC2 tonight at a friend's and looking forward to driving real Pcars for the first time, and not having to RUF pretend! I'm up for a 911R going down through the corkscrew, and let the PFA virtual IROC begin! Standby for a average time! Ill try go for a few laps tonight, usually fairly quick around bathurst. I assume you mean the 911 GT3 R? I'm shitze at Bathurst - that track really doesn't flow for me. 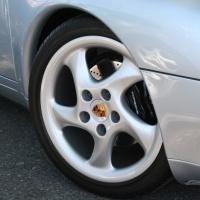 Shouldn't we Porsche people be at the 'ring? That is the point. It is a very difficult track to get right, and I am not an expert at all. Just thought it would be good to get a car and game that is the same for all of us and we can set a bit of a leaderboard. Yes maybe it was a GT3 R. From memory it was in the top right of the Porsche options. I had a crack for 10 laps and got down to a 2.14.9 which is crap I know but it’s early days! I used the stock “loose” setup but really struggled getting out of the left hander after braking hard for The Chase. Some tweaks should improve it a bit. Best I’ve managed at the moment is a 2:14:112. Struggling to find pace down the back side of the mountain. I finally got back from NZ and after about half an hour I put down a very shabby and beatable 2:13.604. My potential is 2:12.083 at the moment if I can string it all together. Anyway, I have added a leaderboard to the first post in this thread so the current times to beat are up there. I am on Xbox and I need to subscribe to Xbox Gold to go online (and access Time Trials and a bunch of other features). It really annoys me to have to pay another monthly subscription to something. Why can't I just pay a one off fee!!! I will probably sign up soon, so we can organise something. ohh bugger im on PS4 for that :(... maybe we need to find a medium which would be PC... assetto corsa has the largest selection of Porsches game wise. 2:13:220.. Not happy as im currently 4-5 seconds off my old pace . Without assists, we are men (and women) not mice ? When I first learn a track I will often turn on the braking zones, but as you get faster they are distracting and only give you a rough guide anyway. It takes a while to learn the balance of the car. I also don't include any laps that they don't, which can get really annoying if you come off mid track and it won't accept your next lap either ggrrrr. I will also add that when I first started trying to get times on the Z forum I couldn't get within 15secs of their times. Now I have gotten down another 15 secs and the top guys are still 6 secs quicker than me. Ok so i jsut did 2:10:668... i can find another 2 seconds somewhere just need to adjust. Time has been adjusted, so now I need to start pushing that track again ? Does it have to be PC2? 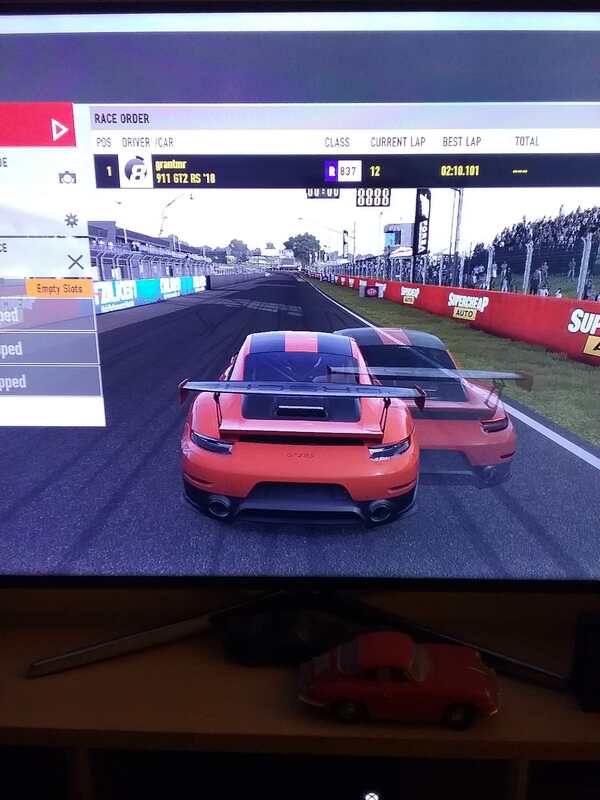 I have forza 7 on Xbox, it has Bathurst and I think gt3rs. I might fire it up and see if the times are comparable. We need to keep apples with apples, so it would need to be PC2 to keep a level playing field. BRING IT ON!!!! haha. You should do an Episode on Sim Racing and how your rig works. I will have a look at doing a sim racing vid. There may be some interest I suppose.